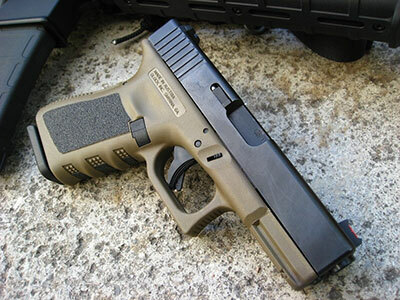 Home Gun News Glock 19 vs Glock 26: Which Is Better For Concealed Carry? Glock 19 vs Glock 26: Which Is Better For Concealed Carry? 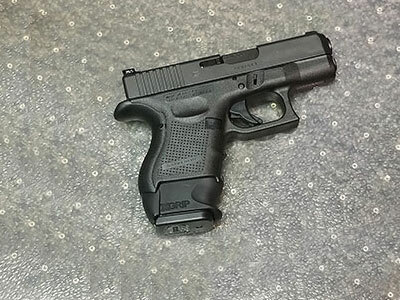 Some people accept nothing other than a 9x19mm Glock, and if you’re going to carry one on the daily, that inevitably leads to deciding between the Glock 19 vs. 26. Both of these pistols are wildly popular among police officers and civilian carriers. Take a peek in basically any gun store, and they’ll have both of them behind the counter. Both guns are solid choices, but each gun has a couple of minor drawbacks that will make one a better choice for some people. It’s like getting a car; plenty of people like pickup trucks, but it’s not a very good choice if you live in an urban environment. Likewise, a Mini Cooper probably isn’t the best choice if you live out in the sticks. So really, it comes down to what’s best for you. But what is going to make one better than the other? We’re going to find out. The Glock 19 is more or less a “Goldilocks” gun. It’s big enough to hang with the full-size guns in terms of accuracy and performance. It holds 15+1 of 9mm and will even run 9mm +P, which is on par with most service pistols or close enough that it makes little difference. It will even accept Glock 17 magazines for an additional two rounds of capacity if desired. However, it’s also small enough for shooters with smaller hands to use well, unlike many of the classic service pistols like the Beretta 92, Sig Sauer P226, CZ 75 or a 1911 which can be bigger than some people are willing to deal with. The 19 is also small enough for most people to conceal fairly easily. Granted, it’s also a tad big compared to other compacts. 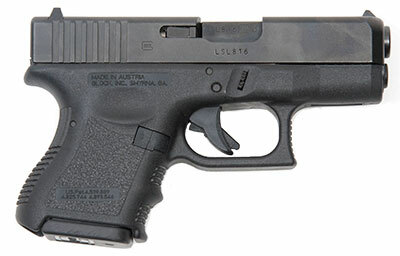 The Glock 19 has a 4-inch barrel, with an overall length of 7.36 inches. The gun is 5 inches tall, and is 1.18 inches wide at the slide. Unloaded, it weighs 23.65 ounces but only goes up to 30 ounces once loaded. Trigger pull is commonly held to be 5.5 pounds, though that can vary a bit per each individual gun you find in stores. Everything you need, nothing you don’t, and in an easy to use, easy to learn, reliable and accurate package. Aftermarket support is ridiculous and they don’t even cost all that much; you can pick one up for $450 to $600, depending on the store and circumstances, and less on the used market. What else could a person actually want? The Glock 26 was conceived as a small handgun for the concealed carry market and as a backup gun for law enforcement, and it has been a very popular pistol for that application since it was released back in the mid 90s. As far as subcompacts go, the Glock 26 has a lot going on for it. It’s compact enough to be easily carried and concealed. However, it’s big enough to avoid the usual pitfalls of pocket guns. The G26 has sufficient barrel length to get some performance out of ammunition and to preserve accuracy. It’s slim, but also has a decent capacity; it holds more rounds than some full-size guns (Sig P220, 1911, etc.) so you can actually carry a decent supply of bullets. It’s also compatible with Glock 19 and Glock 17 magazines, so you can increase the capacity by swapping magazines. In fact, a lot of people carry a 26, but use a G19 magazine with a grip sleeve. The “Baby Glock” has a 3.4-inch barrel, standing 6.4 inches long and 4.17 inches tall. It’s the same width as the 19, and holds 12+1 of 9x19mm. It weighs 21.17 ounces unloaded, but a scant 26.12 ounces once it is. Trigger pull remains roughly 5.5 pounds. Just like the 19, aftermarket support is ridiculous. You’ll find it in basically every gun store. Thousands of people carry them everyday, either as a primary carry gun or as a backup. However, the specs of each gun…don’t matter all that much, as they really only give you part of the story. What matters is what makes a gun good for YOU. How, then, is a person supposed to narrow the Glock 19 vs 26 decision down? Truth be told, no matter which gun you pick between the Glock 19 vs Glock 26, you’re getting a solid firearm. Both are accurate, reliable, and shoot very well. Granted, neither is a tack drivin’ sniper pistol with a custom shop trigger. Glocks are merely hard working guns that will go “bang” when you need them to and will generally hit what you aim them at. Everything you need, nothing you don’t…but you’ll probably find one is better for you than the other. 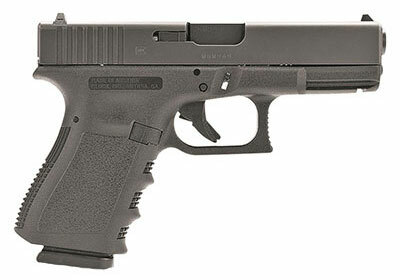 The Glock 19 occupies a fantastic middle ground between a service pistol and a carry pistol. They’re compact enough for most people to carry every day, but some people find them too big to conceal well without layers or may find them uncomfortable to carry. Ultimately, if you can’t easily or comfortably carry a pistol, you’re going to find excuses to not carry it which a few people ahve done with their Glock 19. 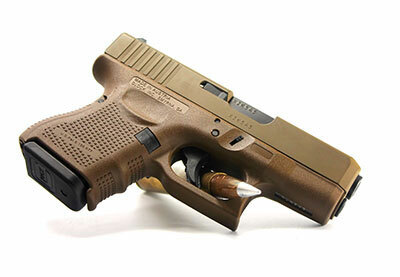 The Glock 26, on the other hand, is small enough for just about anyone to conceal and carry it every day. With the stock magazines, you do lose a bit in terms of capacity but 12+1 is fine for an EDC gun…though you could carry with a Glock 19 magazine with a grip sleeve. However, the 26 also has a fairly short grip. A lot of people find they can only get two or three fingers on the pistol, which makes shooting it a little awkward. Also, shorter barrels bring with them more muzzle rise. While the muzzle rise of a compact 9mm is much less than that of a .45 and is laughable compared to that of, say, a .44 Magnum, a smaller gun in 9mm can still be a bit lively. Granted, very few people are going to have issues with a Glock 26, though shooting +P may snap a bit, but some shooters might find it a bit livelier than they want. For the extremely recoil sensitive, the 19 will be the easier pistol to shoot. 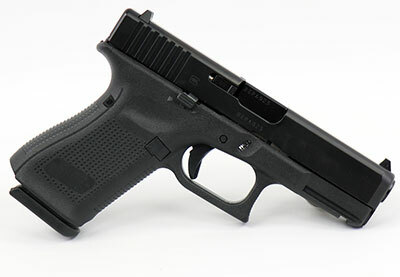 In short, some people find the Glock 19 a touch too big and some people find the Glock 26 a tad too small (without modification) and might not enjoy or otherwise shoot a subcompact 9mm as well as they might with a larger gun. The best thing to do is to handle both and shoot both. Get to a gun store or range that rents guns out for testing purposes. Shoot both, get a feel for them. You’ll get an idea for which one you’ll be most confident with, which will be the one to acquire. 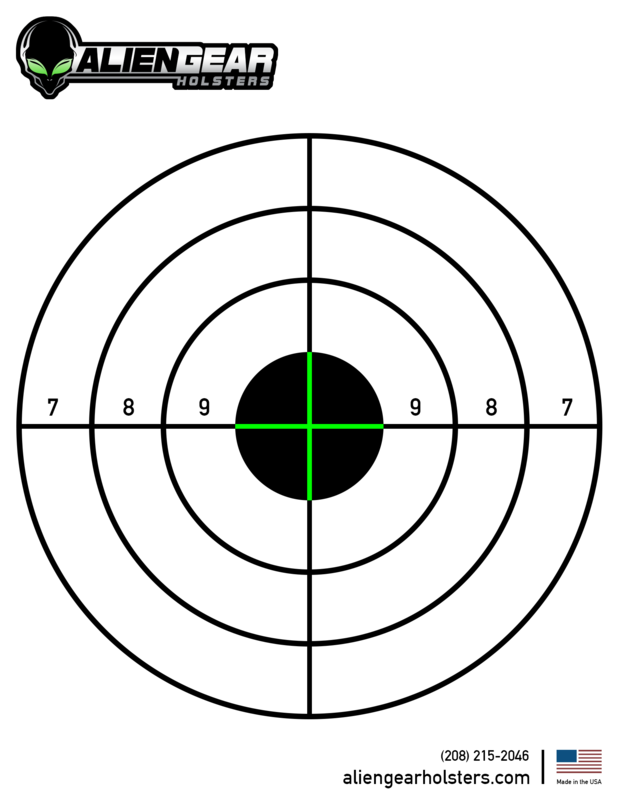 Use our free 8″ x 11″ target when you head on out to the range! We will continuously be adding new target options to our lineup. Check out our complete free printable shooting targets page to see the full selection as they start rolling in.